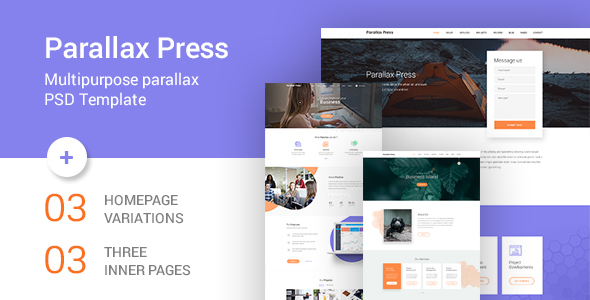 Parallax Press is PSD Template for one-page parallax websites. It is multi-purpose business and corporate PSD template suitable for business, corporate, agency and other creative industries. This PSD is a new look of soft and clean professionalism designs combined with creativity and simplicity on each page.